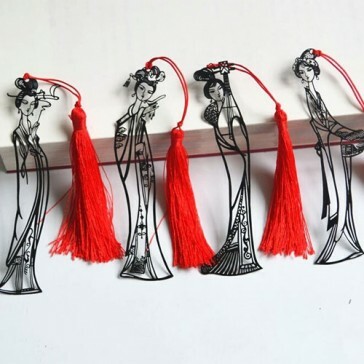 The bookmarks are in shape of the four beautiful girls in Chinese history. Very unique bookmarks made of steel. 4.3" (11cm) in lengh.